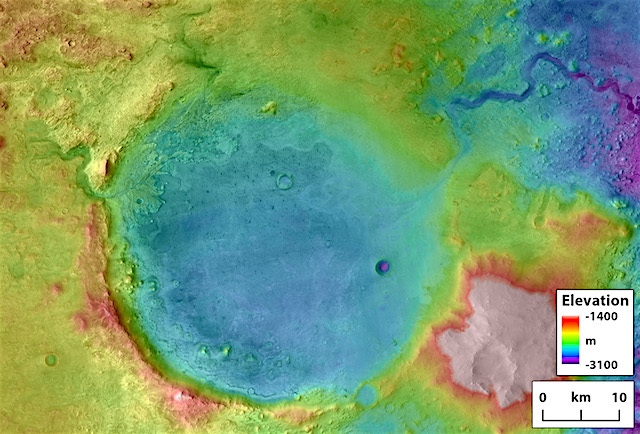 Today, most of the water on Mars is locked away in frozen ice caps. But billions of years ago it flowed freely across the surface, forming rushing rivers that emptied into craters, forming lakes and seas. New research led by The University of Texas at Austin has found evidence that sometimes the lakes would take on so much water that they overflowed and burst from the sides of their basins, creating catastrophic floods that carved canyons very rapidly, perhaps in a matter of weeks. This entry was posted in Reports and tagged canyons, crater lakes, Jezero Crater. Bookmark the permalink.